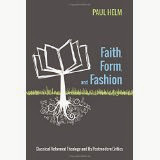 In April 2006 I reviewed Professor Peter Enns’ book Inspiration and Incarnation, (Baker, 2005) for Reformation 21. Professor Enns has recently reproduced what I wrote along with interspersed comments of his own, (here), making it clear where he thinks the review misrepresented and misunderstood him. I thank him for being prepared to go to this trouble. Rather than offer comments on Professor Enns’ comments on my comments on his book it might be more worthwhile briefly to set out once more two of the principal areas of concern expressed in the review. These are: the issue of theological method, and the lack of clear guidance for the reader as to the exact bearing on the doctrine of Scripture of Enns’ ‘Incarnational paradigm’. First then, method, and then the language of guidance. I’m obviously not an OT specialist, indeed not an OT anything, and so the review of Professor Enns’ book should not be seen as a comment on the status or details of his scholarship, but on questions of method and approach. Being one of the general readers at whom the book is aimed I have certainly no desire to trespass on Professor Enns’ turf. Questions of method are fundamental to the problems that arise in formulating any Christian doctrine, including the doctrine of Scripture. Take, for example, the doctrine of divine providence. We are all familiar with an array of evils - a child dying of inoperable cancer, the activities of international terrorists, of Herr Hitler, of rapists and murderers, of volcanoes and tsunamis and hurricanes. Suppose that we take these into account in our efforts to construct a Christian doctrine of divine providence. How should these data help us? To what extent should they help us? 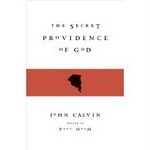 Ought one to concentrate wholly upon Scripture’s own clear statements of the extent and character and purpose of divine providence, or also to shape that doctrine by taking into account statements of the evils that all too obviously confront us all? Do these data about evil carry equal weight with the statements of Scripture? Are they to control the statements of Scripture? The (consistently Christian) answer to these questions should be obvious. We formulate our doctrine from attending (no doubt fallibly) only to Scripture’s own explicit statements on the matter, returning time and again to check and modify our first thoughts by the data of Scripture in a never-ending iterative process. And then we wrestle with the problems in the light of our understanding of these statements. In the mercy of God, the doctrine (along with other doctrines) will illuminate the problems; the problems never control the doctrine. In a parallel way we cannot construct a doctrine of Scripture by starting from the human marks of the 66 books. Perhaps Professor Enns would agree with this. But part of the problem with Inspiration and Incarnation that the general reader has is its loose language. Professor Enns says right at the start that he proposes to let the evidence provided by the three problem areas that he identifies ‘affect how we think about what Scripture as a whole is’. (p.15) Even if we give these words ’affect how we think’ a weak sense, isn’t such a stance dangerous? The stronger the sense we give to those words, the greater the danger. Professor Enns says that we should ‘take into account’ extra-biblical data. But all rests on the strength and single-mindedness with which we do our taking into account. As far as I can see Professor Enns offers no advice on such points. I shall return to this. Or take an example more central to Professor Enns’ project of recommending an ‘incarnational paradigm’ for our understanding of the nature of Scripture, the Incarnation itself. If the data of Jesus’ humanity are given priority over those of his deity, if the account of his deity is controlled by data about his humanity – including his physical and mental growth, his bodily weakness, his ignorance, his emotional life - the result may be a Christ who is very different from a Christ whose divine nature is given priority. It is the Logos, who is logically and causally prior to the Incarnation, who must be the logical starting point. The human nature did not take on divinity, but God himself took on human nature. Of course we should attend to all the data, human and divine; nevertheless a Christ who is a divine man is a different Christ from the divine Logos who assumed human nature. The order of knowing may affect the order of being, but it ought not to. The Church holds fast to the divinely-breathed character of Scripture while recognising its all too obvious human properties. The books are breathed by God and authored by men. Such a confession throws up difficulties; hermeneutical difficulties, including those difficulties to which Professor Enns is at pains to draw our attention, those posed by the awareness of non-biblical data on our understanding of Scripture, and the New Testament’s use of the Old. But – if we are to be consistently and thoroughly Christian – these difficulties may perplex us but we should patiently await their resolution in a way that is consistent with the Christian view of Holy Scripture, the teaching of Christ and the Apostles, while all the while holding fast to that doctrine. Difficulties drawn from extra-biblical parallels should not lead us to stress the human character of Scripture at the expense of the divine – indeed we must especially be on our guard not to do this - any more than in our doctrine of providence moral and other difficulties ought to make us flinch from confessing that the Lord works all things after the counsel of his own will. The point to stress here is Packer’s observation that the doctrine of Scripture is to be derived from Scripture itself. The doctrine’s lack of finality arises from the mysterious way in which, in the production of Scripture, the divine concurs with the human. This, the privileging of the human over the divine in developing an openness to the role of non-biblical sources in doctrine construction, was one chief thing that concerned me on reading Professor Enns’ book and to which the review attempted to draw attention. This privileging is set in a context in which time and again Professor Enns suggests, or more strongly, insists, that evangelical attitudes to Scripture ought no longer to find any difficulty in allowing extra-biblical data to condition the doctrine of the inspiration and authority of Scripture. But what does exactly this conditioning involve? It is at this point, I believe, that the author fails his readers. This brings us to the question of his language. Besides the issue of method, as already noted there are issues of language, of the English language, raised by Enns’ book, the language that he uses to guide his readers. These issues may not be philosophical but they are certainly ‘analytic’. I shall briefly refer to some of the places where there is a failure to guide the reader. 1. Enns makes much of the ‘provisionality’ of interpretation. Protestants are in general happy with noting human fallibility. Such fallibility inevitably results in provisionality. But provisionality comes in degrees. Yet Professor Enns shows little or no recognition of this fact. The bare logical possibility that we may be mistaken makes for provisionality, but then so does pure guesswork. Between these extremes there is a spectrum. All things are provisional but not all things are equally provisional. It would have been wise, in my view, if Professor Enns had noted and emphasised such points, and given guidance to his readers as to when the appeal to provisional understanding becomes or might become dangerous because it threatens or jeopardises the integrity of a doctrine. 2. As we have noted, Professor Enns aims in his book to allow the evidence that he presents ‘to affect how we think about what Scripture as a whole is’ (p.15). Sometimes he writes of allowing facts to affect how we think about Scripture. (p. 67) The problem with this is that the extra-biblical evidence may affect us to varying degrees. For example, it could affect us by making Scripture a wholly culturally-determined and so a culturally-relative phenomenon. If it is wholly culturally relative then its use as a rule of faith and life is similarly so. Its ‘truths’ cannot then span cultures for they are culturally bound. (Like many, Professor Enns has little time for timeless truths, without telling us what such truths are and what is wrong with them). Or the extra-biblical data could merely reinforce and vividly illustrate what the Church has always believed, that the Bible has a human situatedness and authorship as well as a divine inspiredness. Professor Enns never makes it clear which it is to be, but he should not complain if his frequently-expressed desire to revise the evangelical attitude to Scripture tend to confirm some of his readers’ worst fears. 3. Any reader of (say) the four Gospels is soon made aware of the presence of varied interpretations of the same event. But varied interpretations need not be inconsistent interpretations. At times (p.109) I wondered if Professor Enns is clear on the distinction between consistency and entailment. Diversity can be consistent. ‘The apple is red’ is consistent with ‘The apple is green’, but the one does not entail the other. 4. Does the Bible speak differently from one generation to another? It depends on what ‘speak’ means here. It speaks the one unchanging gospel, and so is invariant from generation to generation, even as the one message unfolds until the time when God speaks to us in his Son. But how that one unchanging message may be applied to human life can vary, obviously, as the needs of that life vary. This is the familiar distinction between doctrine and application. Does Professor Enns recognise these distinctions clearly, I wonder? There is confusion also in his remarks about binding. (e.g. p.67) Is what was binding on Israel binding on us? Yes and no. Yes, the Israelites were bound to believe, as we are, that the bush burned. But no, we are not bound to do what the Israelites were bound to do. Yet as far as I can see Professor Enns rides roughshod of that crucial distinction. 5. As noted, Professor Enns proposes an incarnational paradigm for Scripture. J. I. Packer, echoing B.B. Warfield, also has interesting and wise remarks on such a proposal, (‘Fundamentalism’ and the Word of God, pp.82-4.) It’s a pity that in developing his incarnational approach Professor Enns saw no reason to interact with such sources. The nature of such interaction would be another way of helping the reader gauge more exactly what he is proposing. The list of such infelicities and irritating gaps in exposition could be extended. The point is, either Professor Enns’ position is a radical thesis, or it is not. It is incumbent on any scholar, in addressing a matter as fundamental as the doctrine of Scripture, not to mince his words. He should have told the reader, in words that are unmistakably clear, how radical his thesis is and what difference it will make to what Scripture is. Instead, the reader appears to be being offered radicalism by innuendo. So whether or not Professor Enns’ proposals amount to a radical reappraisal of the doctrine of Scripture, or confirm or at least are consistent with the classical view of inspiration and authority, would be easier to judge if he had made the presentation of the significance of his views in Inspiration and Incarnation clearer, showing where they take us and where they don’t.